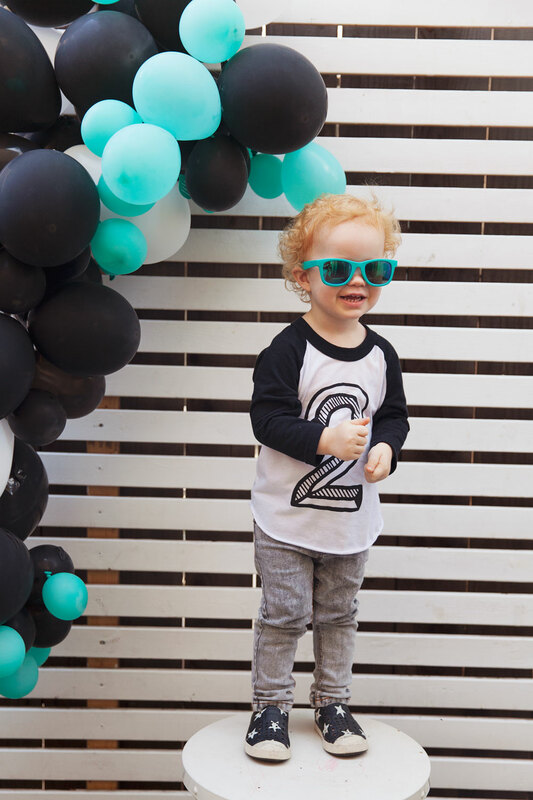 My baby is two! I can’t believe it! 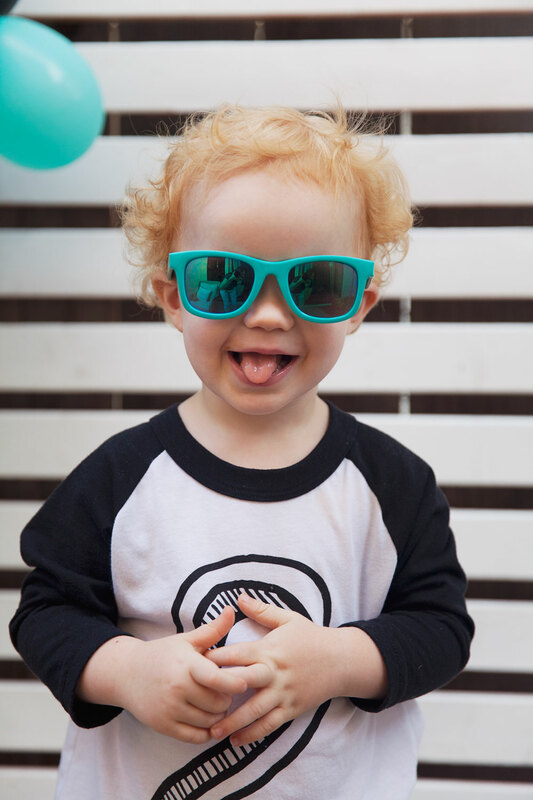 I also can’t believe he is my last that I get to throw parties for (crying!) 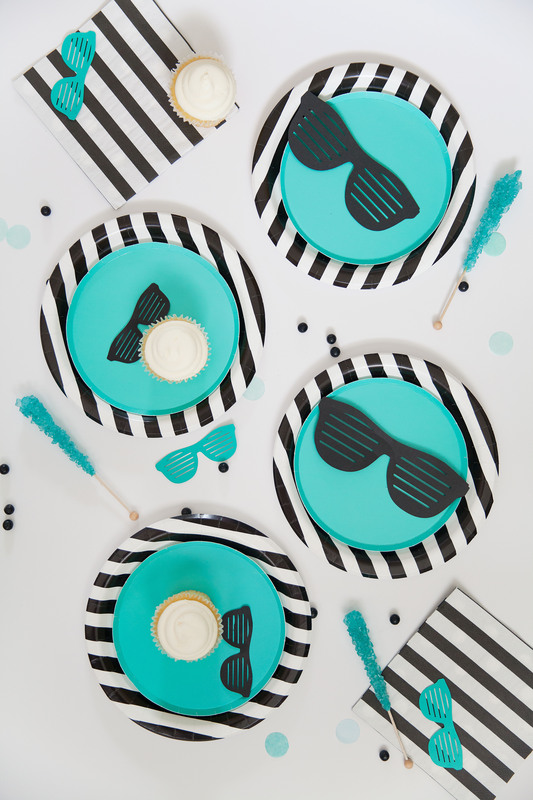 SO I figured I had to do something cute, even if my rule is, one year go big next year intimate family party. I just couldn’t help myself guys ha ha. 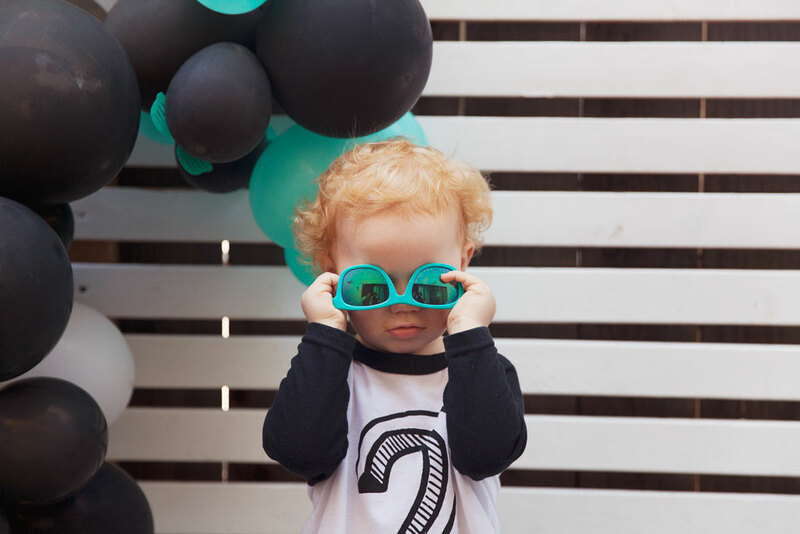 Since Nash turned two I thought a “2 cool” birthday party theme was in order, because he is one cool kid! 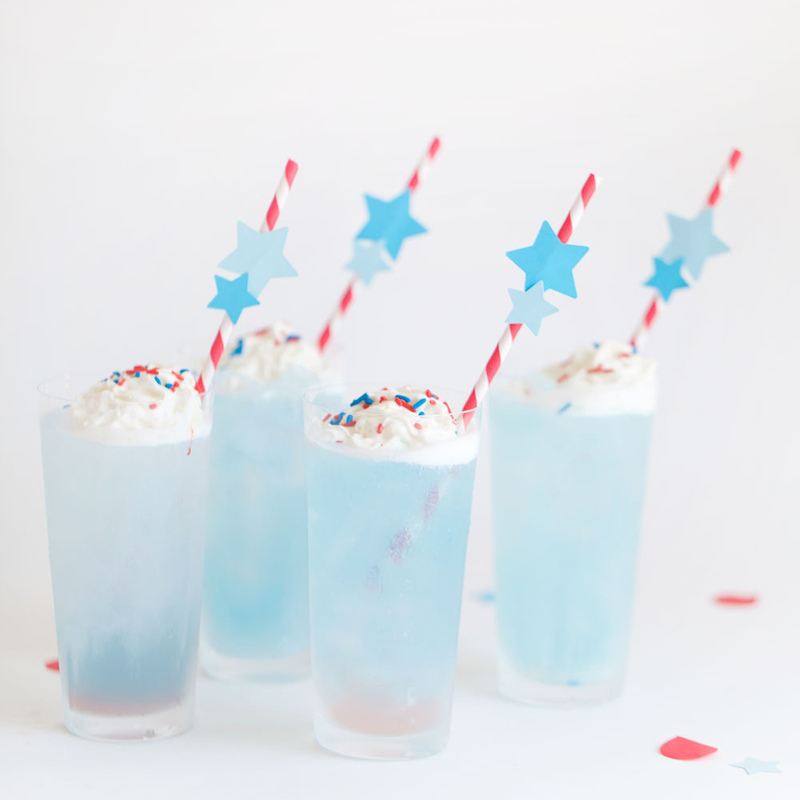 This party is super simple to put together! 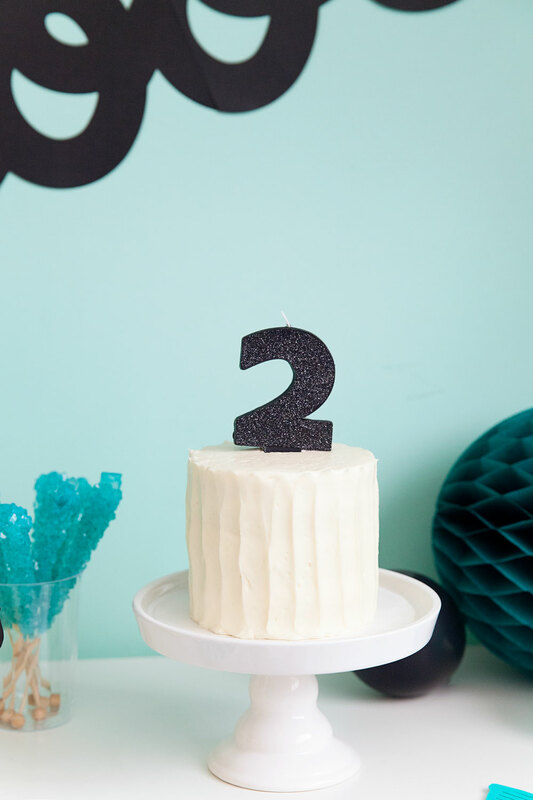 So if your looking for a 2nd birthday party idea, this is it! 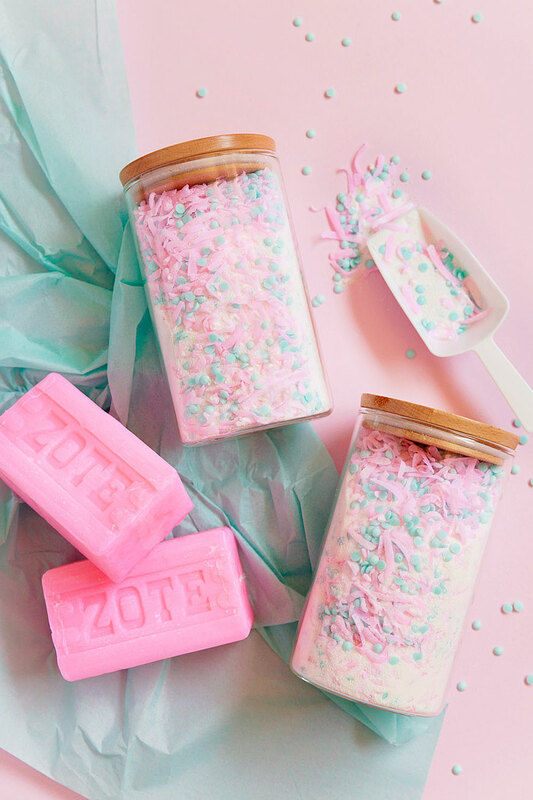 Find all the DIY’s, tips and links below. Next is the Balloon arch. This was my FIRST balloon arch and it was a lot easier than I anticipated! -Blow up your balloons, make sure to vary the sizes. -Thread your fishing line onto your needle and start to thread your balloons onto the needle. You are going to want to thread them onto the tied bottom part of the balloon. -Once you have a good shape, cut and tie off the fishing line. 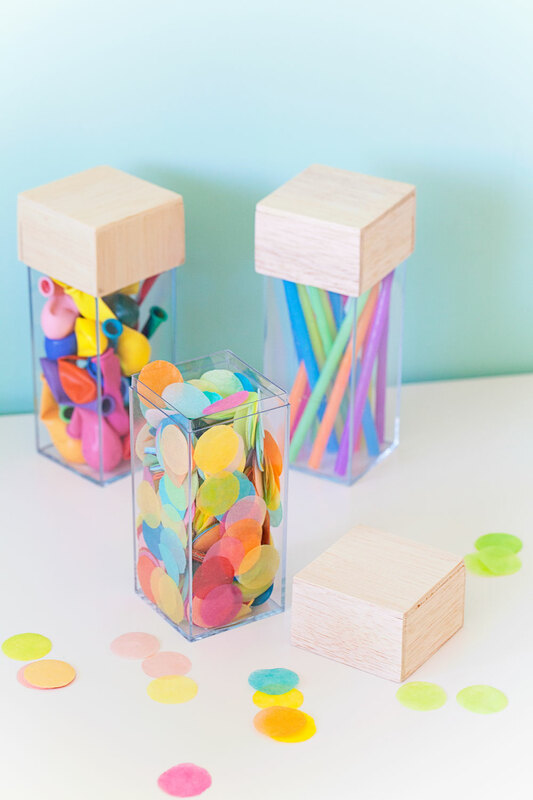 -Next get your low heat glue gun and start to glue on some of the balloons to fill in spots and make it look the shape you want it. 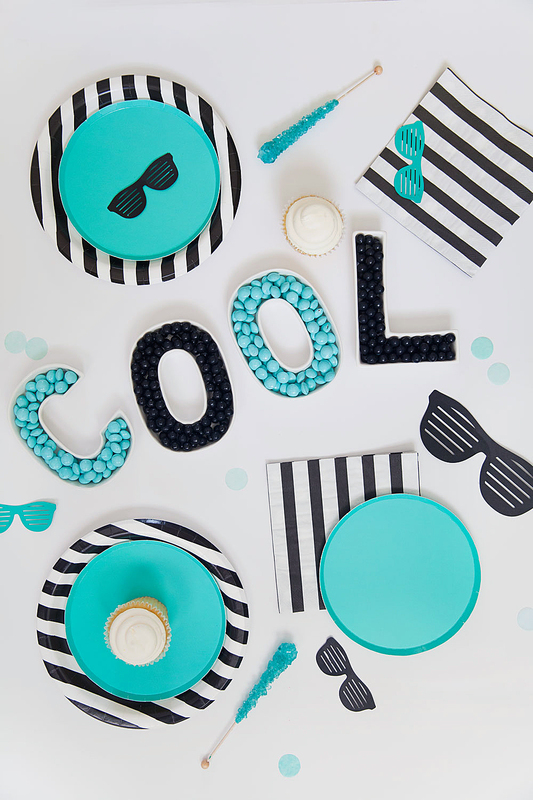 -If you have extra paper cut out sunglasses glue those onto some of the balloons. Lastly I knew his outfit needed to match the decor because why not ha! 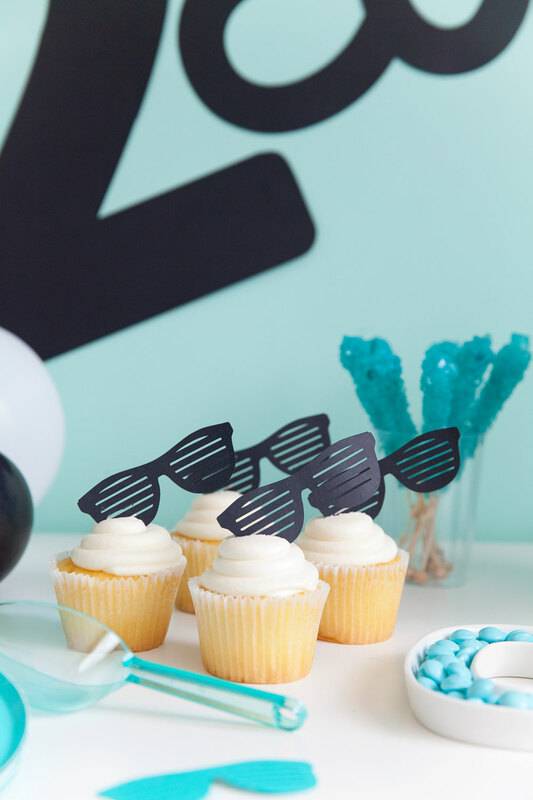 What I love most about this party is it was super easy to put together. 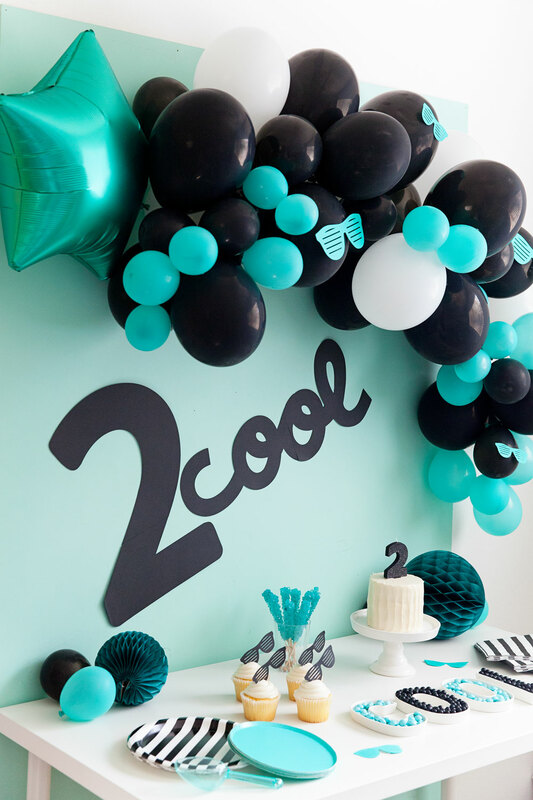 I printed, made the balloon arch and set everything up the day of his birthday. It wasn’t too crazy but so so cute! Now its time to party!!! 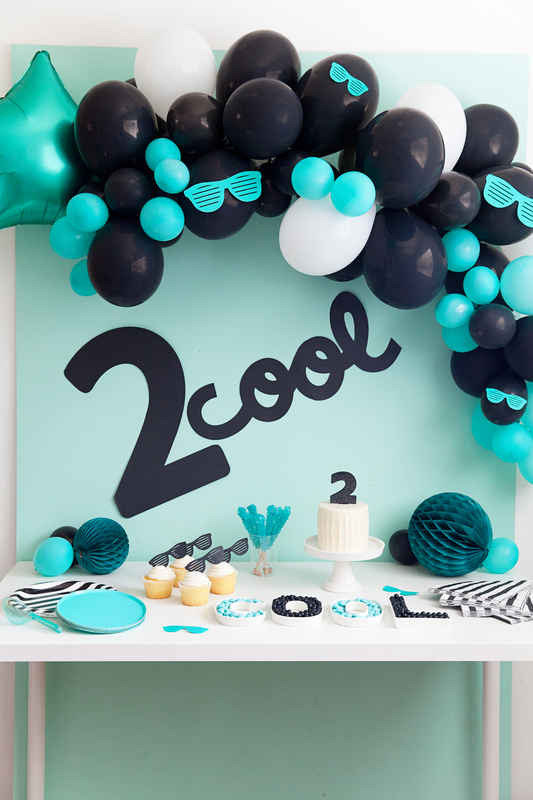 This 2 year old themed party is so much fun, gender neutral and sure to be a hit! This is so cute! 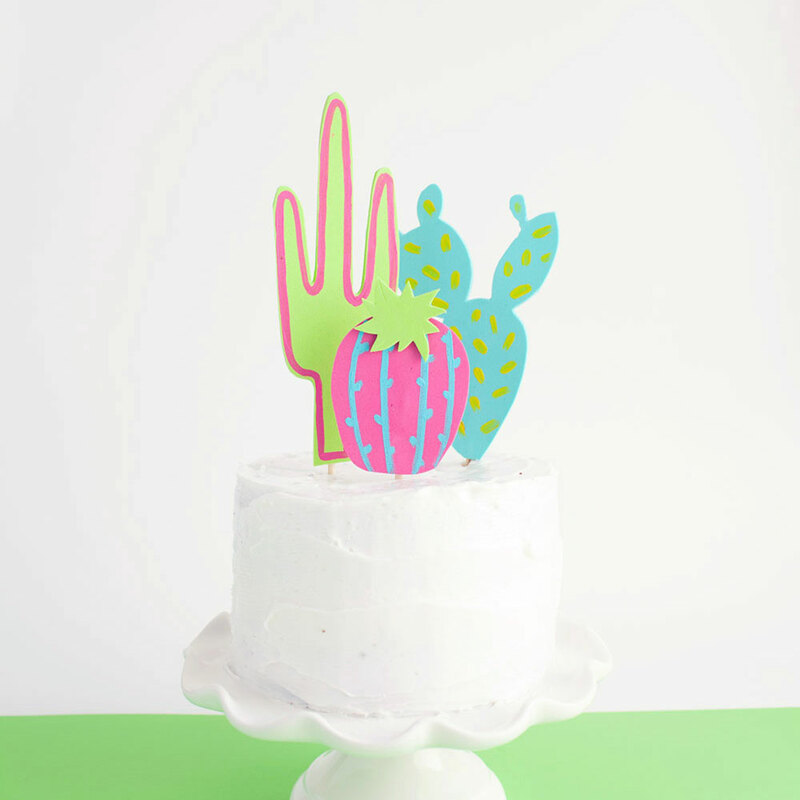 All the details are perfect! 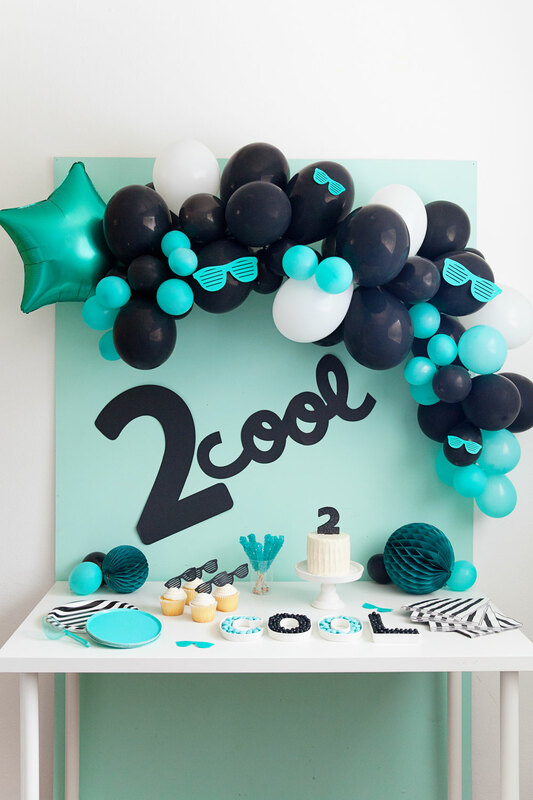 What a brilliant idea, I love the theme and how you styled it!